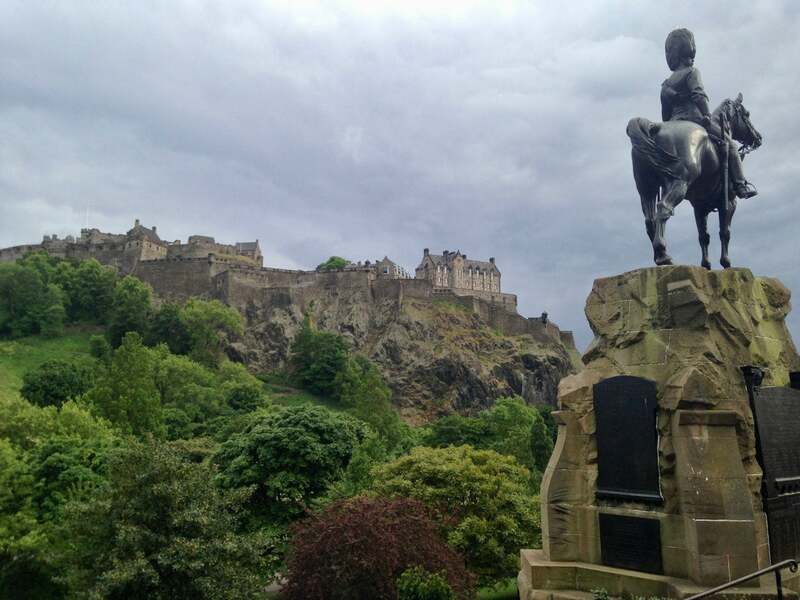 EDINBURGH, Scotland—The police armed response vehicles patrolling here in Scotland’s capital city are practically invisible unless you know what to look for. As part of a nationally heightened terrorism threat level in the wake of three deadly terrorist attacks by Islamist militants in the United Kingdom in as many months, specially trained, armed police personnel are deployed throughout Edinburgh. Ready to deploy at a moment’s notice if a threat presents itself, they remain ensconced in discreet vehicles, hidden from plain sight. 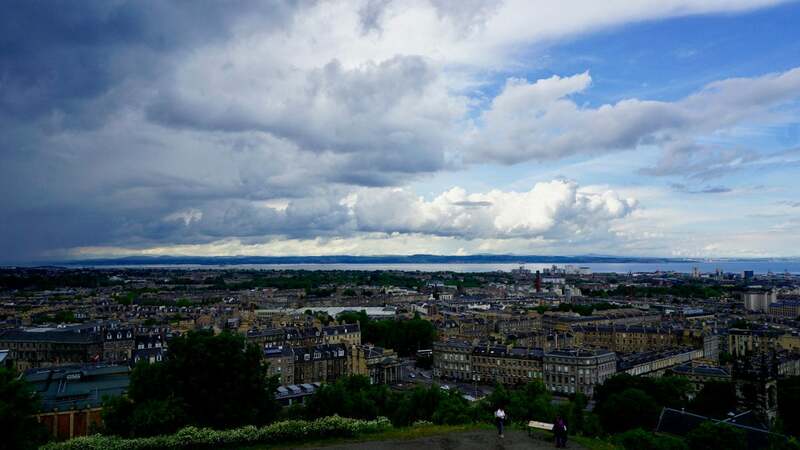 What one is sure to notice throughout Edinburgh, however, are the prolific Scottish national flags, known as the St. Andrew’s Cross—more common than the British Union Jack. Across the city, both flags are at half mast after last Saturday’s terrorist attack in London—the death toll of which increased to eight on Wednesday after detectives recovered a body from the River Thames. Clues to the terrorist threat are subtle in Scotland, unlike the country’s overt displays of apartness from the rest of the United Kingdom. Similarly, the campaign leading up to this Thursday’s British parliamentary election, which will decide whether Prime Minister Theresa May of the Conservative Party stays in power, has underscored a gamut of divergent concerns between voters in Scotland versus the rest of the United Kingdom. While terrorism has played an outsize role in the final days of the British parliamentary election campaign, in Scotland, the perennial question of independence has loomed larger. “For me, the foreign policy of the U.K. is partly responsible for the troubles we’ve had,” Stefan Tymkewycz, a former Scottish member of parliament and councillor for the Edinburgh City Council, told The Daily Signal. Outside of Scotland, national security has dominated the British election’s closing arguments. May’s chief opponent, Jeremy Corbyn, leader of the Labour Party, has leveled attacks on the prime minister for police force reductions she authorized during her six-year tenure as home secretary under David Cameron, the former prime minister. Two years ago, the Scottish National Party scored a landslide win, taking 56 of Scotland’s 59 seats in Britain’s national Parliament and 50 percent of the overall vote. A 2014 Scottish popular referendum on independence, championed by the SNP, failed decisively—about 55 percent of Scots voted for remaining in the U.K., versus 45 percent voting for independence. Polls suggested a swing toward supporting independence in the wake of the 2016 Brexit referendum, which was unpopular in Scotland. But this year, the “remain” camp has regained ground and has consistently polled above 50 percent. A recent YouGov poll said support for independence had fallen to 43 percent of the Scottish electorate, down slightly from 2014. Nevertheless, the Scottish Parliament voted in March to authorize Scottish First Minister Nicola Sturgeon of the SNP to begin negotiating with Parliament in London about another independence referendum in 2019—the same year Brexit is set to take effect. And on Monday, Sturgeon thrust the independence debate back into the spotlight. Meanwhile, as support for independence wanes, the SNP is on track to lose about 10 parliamentary seats this year, according to polls. The Scottish Labour Party and the Scottish Conservative Party are both trying to pick up seats in Scotland. To that end, they have challenged the Scottish National Party over its push for a second independence referendum. Consequently, Scotland has become a key battleground in a tight national race. “Who do you trust to strengthen the bonds across this United Kingdom?” May, the Conservative prime minister, said during a rally in Edinburgh on Monday. “Scotland does not need or want another independence referendum but Nicola Sturgeon is determined to have one anyway,” Kezia Dugdale, leader of the Scottish Labour Party, wrote in a June 6 op-ed for the Daily Record, a Scottish newspaper. Another hurdle for the SNP is Scotland’s sluggish economy under its government. The Scottish gross domestic product is projected to grow by 0.9 percent this year—half of the United Kingdom’s overall expected growth of 1.8 percent. Scotland’s economy does roughly four times more business with the United Kingdom than the EU, raising concerns about the economic impact of splitting from the U.K. and potentially adding trade barriers to Scotland’s most lucrative export market. According to the latest data from Export Statistics Scotland, the country sold 49.8 billion pounds to the rest of the U.K. in 2015, compared with 12.3 billion pounds in exports to the EU. Independence advocates, however, see Scotland’s economic stagnation as an argument for independence. Unlike the rest of the United Kingdom, security has not been a key issue on the Scottish campaign trail. 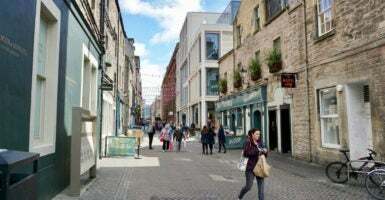 “I don’t think terrorism is part of people’s thought process when they vote,” Madjid Fazel-Hamedani, a business owner in Edinburgh, told The Daily Signal, speaking about the mindset of Scottish voters. To date, only one Islamist-linked terror attack has been attempted in Scotland. In 2007, two militants in a Jeep Cherokee loaded with propane tanks rammed through the front doors of the Glasgow Airport terminal. When one of the attackers ran into the terminal while on fire, a baggage handler named John Smeaton subdued him with a kick to the testicles. Smeaton received the Queen’s Gallantry Medal for the act. The attacker Smeaton subdued, Kafeel Ahmed, later died due to his burns. He was the attack’s only fatality. Scotland, historically, has been relatively insulated from successive waves of terrorism in the United Kingdom. Still, the quick succession of attacks in the southern part of the United Kingdom this year has chipped away at the perception that Scotland is spared from the terror threat. Fazel-Hamedani, 39, was born and raised in Edinburgh. His father is from Iran, and his mother is British. He has a 2-year-old daughter, and the stories of children killed at the bombing of a Manchester pop concert on May 22, which killed 22 people overall, struck a nerve. Normally, a national campaign focused on security would benefit May’s incumbent Conservative Party. However, May, who was home secretary for six years under Cameron, is now under fire for thinning police ranks during her time in office. Corbyn has since called for May’s resignation. The number of police in England and Wales decreased from 141,850 in 2010 to 122,859 last year. The number of armed police also fell from 6,796 to 5,639 in the same period. London Mayor Sadiq Khan, who is of the Labour Party, said his police force is underfunded and undermanned. For its part, the Scottish government has added about 1,000 police officers to its ranks since 2007, taking its current overall manpower to about 17,000 personnel. But budget shortfalls have limited police operations. 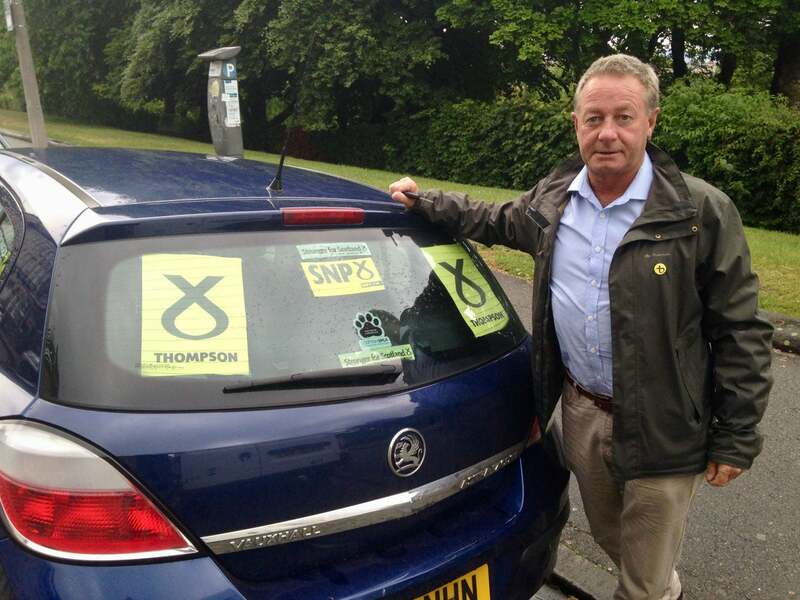 Tymkewycz, the SNP politician, served for 17 years as a police officer in London before entering politics. He was critical of May’s decision while home secretary to reduce police ranks. On Monday, May defended her record as both home secretary and prime minister, insisting that effective counterterrorism was about more than the number of police officers on the payroll. At first, May’s decision in April to call a snap parliamentary election looked like a shrewd political move to expand her majority in Parliament ahead of what will likely be bruising negotiations with the European Union over Brexit. May started out with a 20-point lead in the polls but a series of campaign trail missteps have made the election more competitive than many anticipated. Still, May maintains a lead going into the home stretch of a turbulent campaign that has been suspended twice due to terrorist attacks. An election victory for May would be a setback for the Scottish National Party, which is resolutely opposed to May’s conservative platform. But, in the end, a Conservative Party victory could favor the SNP’s long-term push for independence. If May retains power on Thursday and negotiates a Brexit plan with the European Union that is perceived to be a bad deal for Scotland, it would likely entrench pre-existing political divides between Scotland and the rest of the United Kingdom. An overwhelming majority of Scottish voters did not support Brexit. That, compounded with a potential Conservative Party mandate in Parliament, could shift the political winds in favor of independence. “If the conservative government wins, it will drive the independence vote.” Fazel-Hamedani, who supports Scotland remaining in the U.K., said. An overwhelming majority of Scottish voters did not support the United Kingdom’s departure from the European Union. One key question during the 2014 referendum vote was whether Scotland would remain in the European Union if it parted ways with the United Kingdom. Now, with the U.K. set to leave the EU by 2019, independence is the only path to retaining EU membership for Scotland. Another curveball—130,000 EU citizens live in Scotland as legal residents. They were allowed to vote in the 2014 Scottish referendum, and, of the 80,000 who did, roughly 80 percent supported Scotland remaining in the U.K. 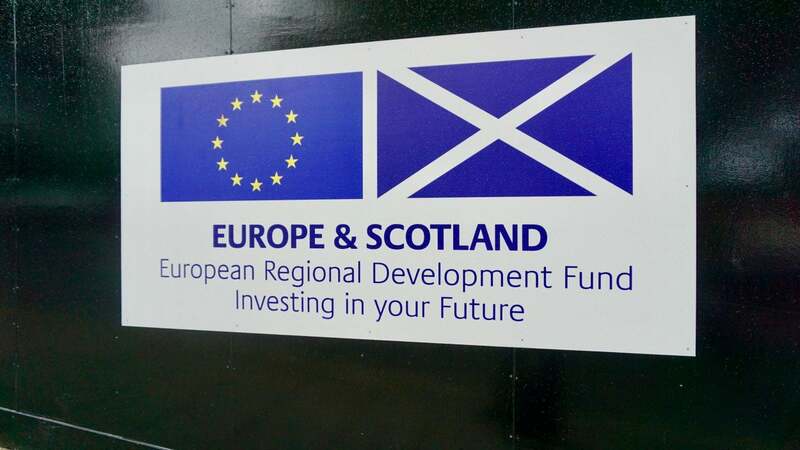 They did so, according to a line of thinking shared by those on both sides of the debate, due to worries that an independent Scotland would lose its EU membership if divorced from the United Kingdom, and the residency status of EU nationals might be in jeopardy. Now, with Brexit looming, the residency status of EU citizens living and working in the U.K. remains murky. Consequently, what was once a stalwart “pro-remain” voting bloc could now support independence. The independence referendum lost by about 400,000 votes in 2014, so EU citizens are a key demographic for the next independence referendum. Despite the heightened national security level and the scenes of carnage from terrorist attacks in London and Manchester, which plaster the front pages of the Scottish newspapers, for now, the terrorism threat is not a key piece of Scotland’s independence debate. “The drive for Scottish independence has nothing to do with getting away from the terrorist threat. It’s more tribal, about having our own country,” Fazel-Hamedani said. This article has been updated to correctly reflect the currency used in the Export Statistics Scotland data.